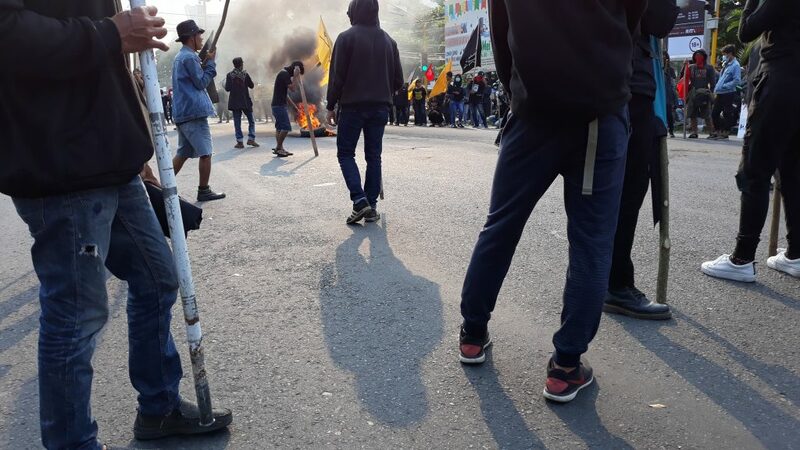 May 1: DILI – Police in the East Timorese capital Dili fired warning shots and arrested 84 people to disperse some 500 May Day protesters calling for higher wages on Tuesday, police and a witness said. 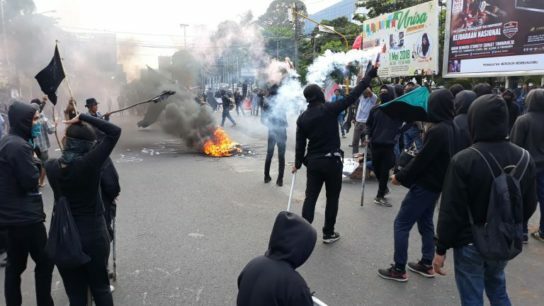 Police said they were forced to intervene after protesters began hurling stones and marching to a nearby hotel where some staff had recently been laid off. Three policemen and a private security guard were injured, police said. “It was an illegal demonstration because by law any demonstration needs permission four days in advance,” said Dili District Police Commander Pedro Belo. 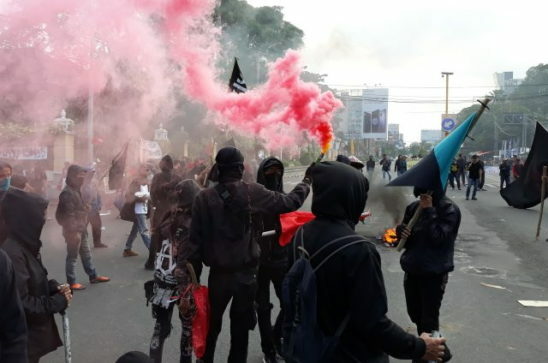 Indymedia: May Day – an international day of workers protests and celebration – came to Melbourne today in a small but anarchic way. May Day in Australia is not what it once was but is still carried forward by elements of the trade union movement and the broad left including anarchists. Anarchists have been associated with May Day in Melbourne for 126 years with the formation of the Melbourne Anarchist Club on May 1st, 1886 while a huge labor demonstration was about to occur in Chicago and other US cities. The anarchist Chummy Fleming chaired the first May Day public meeting on the Yarra Bank in 1892. Anarchists continue to be part of the tradition of May Day in Melbourne. The Victorian Trades Hall Council holds an official May day march on the first Sunday in May, but also with other events through the week including a wreath laying at the Eight Hour Day monument.